How good is your gas? New transportable hydrocarbon dew-point analyser makes investigations of natural gas quality easier to perform. Electricity generating companies that operate gas turbines need to be sure of the superheat margin between the dew point and delivery temperature of the fuel gas to avoid damage caused by liquid condensate in the gas, as well as avoiding environmental levies on emissions. 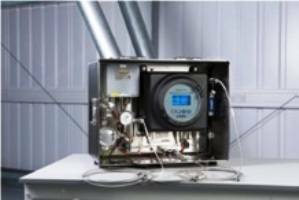 The Transportable Condumax II enables checks of the hydrocarbon and water dew point of the natural gas entering the fuel gas system.